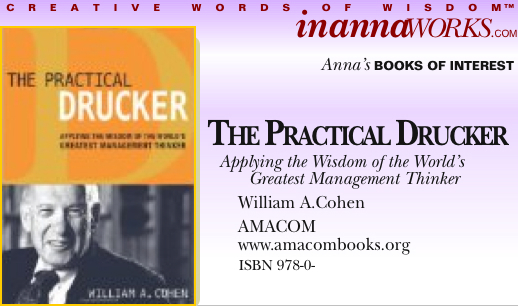 Peter Drucker was a business management “Golden Boy” before the media invented “Golden Boys”. He’s been called the inventor of modern management and the grandfather of modern marketing. Eight years after his death, his ideas are more relevant than ever, and predictions he made decades ago have been proven uncannily accurate. This entry was posted in Anna's Books of Interest. Bookmark the permalink.